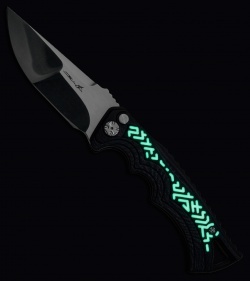 The Tighe Fighter automatic knife offers another brilliant custom design from Brian Tighe. 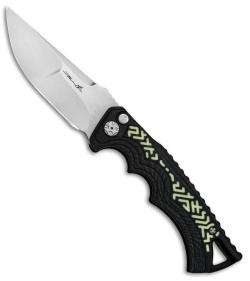 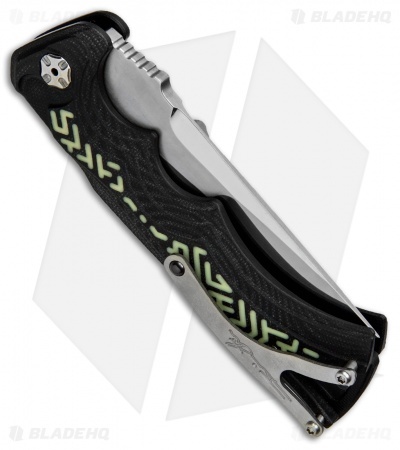 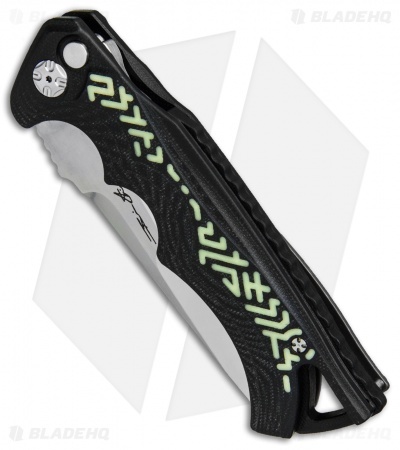 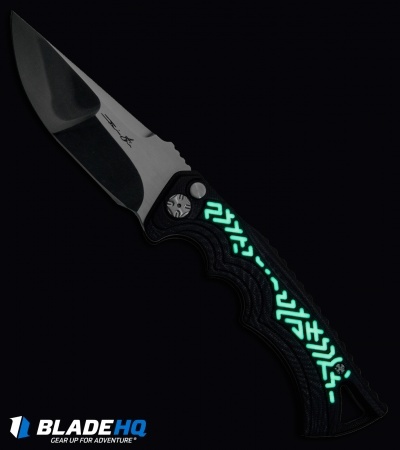 This impressive model features a carbon fiber handle with a glow in the dark mosaic pattern on either side. The compound grind blade comes in a drop point style with a polished finish. A titanium pocket clip and G-10 back spacer add a nice finishing touch to the design. 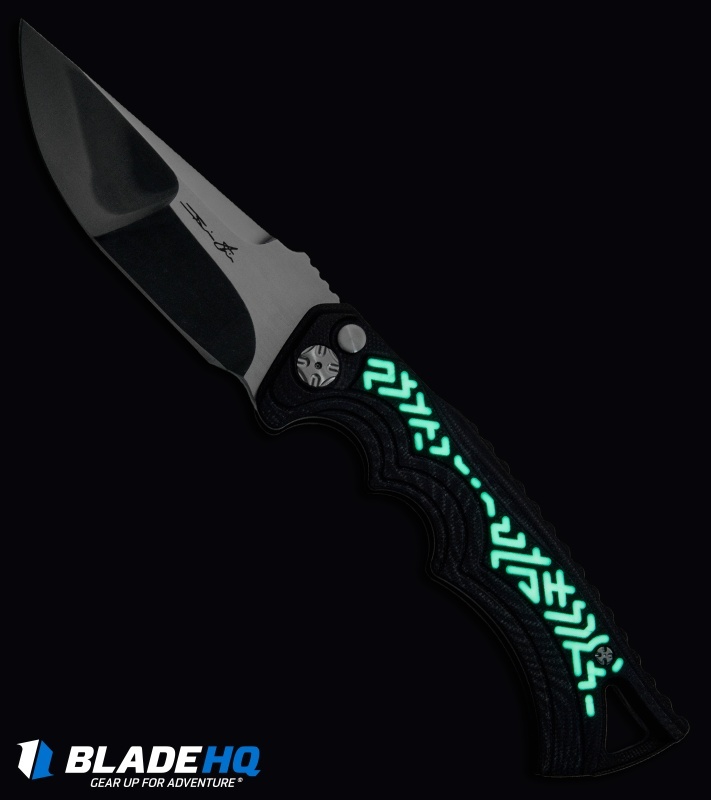 Direct from the maker.